Best-Way Marble was established in 1974 by the Herrera brothers in a small shop on Prairie Ave in Hawthorne CA. In 1981, Best-Way incorporated and moved to a larger facility on Telegraph Road in Los Angeles. At that time, Best-Way was a union shop and employed approximately 75 workers. Most notable projects are stone work at: The Beverly Center, Cartier, and South Coast Plaza. Best-Way became one of the most prominent marble & granite fabricators in Los Angeles and held one of the first Marble Institute of America memberships. We opened our kitchen showroom and we imported natural stone direct from the quarries in Italy, Brazil, and Taiwan etc… It became one stop stone shopping for the kitchen & bath home remodeler. The last of the Herrera brothers retired in 2006 but Best-Way thrives as a family owned company. In more recent times, days of extreme competition, our years of experience and knowledge has given us the advantage. We pride ourselves in the quality of the work we do and the service we provide. We are supported by our own team of fabricators and installers with years of experience. Some would say we are an old school shop but we think of it as craftsmen performing an old craft. We service customers we serviced over decades ago as well new and repeat clientele in the hospitality, furniture design, and general building business. I hope you too can be added to our story and list of references. Our company strives on excellence. Our work is guaranteed, and will last a lifetime. We make sure to be as detailed and cautious working in your home as we can. We specialize in custom jobs, and treat every new client with the same respect as the last no matter how big or small the job. We are licensed and insured and take our business very seriously. Our clients are our pride, and we would love to have you as one of ours. If you are looking have been looking for a tile specialist for your next tiling job? Have you been moving from one place to another looking for a tile specialist to help? Is your quest on cheap tiling service that delivers with care? Well, if all these inquisitions are creating a problem on your mind, you have come to the right service. Absolute Tile and Stone is the place to be. We have over 20 years of experience in the field of tiling and can provide clients with top-notch solutions that glow with longevity. Our tiling service is one in a thousand. This is simply because we are sure to always provide quality tiling solutions that other rival companies cannot give. Absolute Tile and Stone is the right choice of your next tiling job. We absolutely pride ourselves in proving high customer service and workmanship that remains excellent. With our service, there is no guess work. We will get the job done the first time. For this reason, we are considered the best in the entire industry. Welcome to Long Beach, California's premier floor design center, The Tile Zone. We offer a large selection of name brand tiles such as Oceanside Glass, Dal-Tile, Emser, Mexican Handcrafted Tile, and many more lines. While customers will find some of the same tile at The Tile Zone they can find at big box stores like Home Depot and Lowes, The Tile Zone also offers select lines of higher-end tile products including marble, slate, granite, glass tiles and mosaics. Also, featuring premium Malibu/Catalina line of tile, perfect for the Spanish Revival homes found throughout the Greater Long Beach Area. AMIRIAN HOME is a TILE / KITCHEN / BATH / HARDWOOD retail showroom with locations in Hermosa Beach, CA and in Glendale, CA as Glendale Tile. When you engage in the AMIRIAN HOME experience, you gain access to a state of the art European kitchen and bath centers with a knowledgeable staff offering a rich heritage of expertise, service and innovation unlike any other. Executive Stone is a fully licensed and insured company that has been providing Southern California with exceptional ceramic, stone, mosaic, and stone veneer installation for over 20 years. Our professional office and skilled installation crews allow us to perform a variety of diversified projects from upscale residential to large-scale commercial. We pride ourselves in our excellence to customer service and attention to detail with a goal to provide our clients with unparalleled satisfaction. We also are an importer, manufacturer and distributor of natural stones, specializing in limestone known as Jerusalem Stone, based in North Hollywood, California. Executive Stone Trading is able to provide a variety of high quality natural stones to meet all design and architectural needs. We stock a full line of Jerusalem Stone in tiles, slabs, Versailles patterns and veneer stones with a variety of finishes, EST provides ideal interior and exterior solutions, including cut-to-size stones for both residential and commercial projects. With our large fabrication shop, state of the art equipment, qualified and experienced stone craftsmen, we are able to do any size job, in any finish and any stone. We are able to cut tumbled, split and different finishes like bush hammer, brush, antique, honed, special mosaic To learn more, please CALL US or visit our showroom, located in North Hollywood. We look forward to your visit. XS Studio has in stock high end luxury glass tile mosaics, ceramic tile, natural stone and porcelain for floors, kitchens, bathrooms, fireplaces, and pools. The XS Studio has overstock and discontinued tiles at discounted prices. *Authorized Armstrong Dealer* For a room to truly look its best, it needs to have the right kind of floor. Though easy to overlook, a matching floor is necessary for creating satisfying decor. This is one reason that flooring is such an important part of design. Different kinds of rooms call for different kinds of floors. For instance, a kitchen remodeler will tell you that laminate or wood flooring are good options, but a bathroom remodeler will talk about ceramic tile flooring being the best choice. At California Design Floors , we provide a number of flooring services that are for both residential and commercial use. With our experienced flooring contractors, we also provide carpet installation. If you are not sure what will best fit your home or office, we will be happy to give you honest opinions. So if you’re looking for a reliable flooring contractor in Chatsworth, CA, we are at your service. We specialize in providing a high quality wood floor installation service guaranteed to meet your specifications. Call us today! San Marcos|Lakeside|Poway Southern California's largest natural stone, boulder, & masonry supply since 1984. Come visit us in stores or browse online! Your source for information about unique and innovative tile collections. Our natural stones, pebble tiles, and mosaic tile give an international and serene feeling to design projects in residential and commercial spaces. Southland Stone is one of the largest source distributors of Natural Stone from around the world. We carry stone products from 36 countries _ Granite, Marble, Limestone, Travertine, Slate, Sandstone, Onyx, Quartzite, Soapstone, Basalt and Cantera whether in slabs and in tiles. We also have Engineered stone , Crystallized glass slabs, and more recently started selling "PORSLIM" - which is our Exclusive Brand for Thin Porcelain slabs. 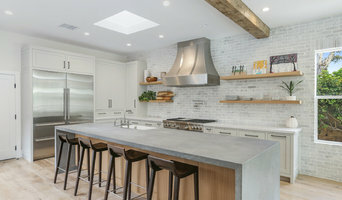 Whether you are looking for stone for your kitchen countertops, bathroom vanities, fireplace surround and hearths, outdoor kitchen bbq grill counter, interior & exterior floorings, interior & exterior walls, landscaping, claddings for residential, commercial & hospitality projects & many more applications, be sure to call or visit Southland Stone. Saxum Tile Design Studio is a tile store specializing in high quality tile and stone for both residential and commercial projects. Our innovative showroom offers an extensive collection of product lines from the latest in modern sophistication to the timeless elegance of classic design. With our broad product offering and extensive expertise, we can work with you to achieve outstanding results within your budget. Whether you are a designer, builder or homeowner, Saxum seeks to inspire your creative energy to make your vision a reality. At Saxum, our top priority is customer service. We offer a valuable combination of skill sets -- designers and builders with extensive construction backgrounds -- to assure your tile and stone choices are not only beautiful but practical. If you are new to the design process, rest assured, we are not. If you are an experienced designer or builder, we strive to create a long term relationship with you and your clientele. We design, fabricate and install kitchen and bath countertops with new concepts understanding your needs and ideas. Saint-Gaudens Tile is an artisan decorative tile manufacturer based in San Diego, California. Best known for our handcrafted, solid cast bronze metal tile accents, liners, and hardware. It is often called "jewelry for the home." Bell's Tile Works and Natural Stone has been in business since 1975. We offer competitive prices and exceptional customer service when it comes to providing tiles, stone, and supplies to our customers. We are a full service tile shop offering design ideas and assistance.